Coat the pork with the flour. Stir the picante sauce, brown sugar and apple in a medium bowl. Heat the oil in a 12-inch skillet over medium-high heat. Add the pork and cook for 10 minutes or until well browned on both sides. Pour off any fat. Pour the picante sauce mixture over the pork. Reduce the heat to low. Cover and cook for 20 minutes or until the pork is cooked through. To prepare crust, combine first 4 ingredients in a small bowl; stir with a fork until moist. Press into bottom and 1 inch up sides of a 9-inch pie plate coated with cooking spray. Bake at 350° for 8 minutes; cool on a wire rack. To prepare filling, combine cottage cheese and next 5 ingredients (through salt) in a food processor; process for 1 minute or until smooth. Add eggs and egg yolk; process until smooth. Spoon filling into prepared crust. Bake at 350° for 35 minutes or until set. Cool completely on a wire rack. Cover and chill at least 4 hours or overnight. 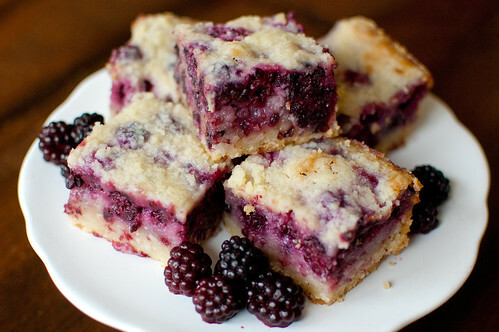 To serve, spread Triple Berry Curd evenly over top. Do you like to go treasure hunting? If so what is a treasure you have found. 1. Do you make your kids finish all the food on their plates? 2. Do you give an allowance? 3. Do you actually park your car in the garage? 4. What is one food you will NEVER cook? 5. Do you have anything exciting planned for the summer? 5. Lots of travel oh it is so exciting in our plans but we all know that plans are meant to be changed. Fry diced bacon until done; add refried beans and cook slowly, stirring frequently until the bacon and bacon drippings are mixed through (about 15 minutes). Remove from heat and set aside. Mix taco seasoning with sour cream and set aside. Refried beans, placed on a serving platter and spread out to 1ñ1 1/2 inches thick. Serve with crisp corn chips and a very cold beverage of choice. Makes a great snack or light lunch. Scrub the potatoes and pierce each one with fork a few times. Bake the potatoes in a preheated oven at 400° for 1 hour or until tender. Remove from the oven, let cool enough to handle, then peel the potatoes. Cut 3 of the potatoes into soup-size cubes, and set aside. Mash the remaining potatoes. In a Dutch oven, large saucepan or small stock pot, melt the butter or margarine over medium heat. Stir in the chopped onions and minced garlic. 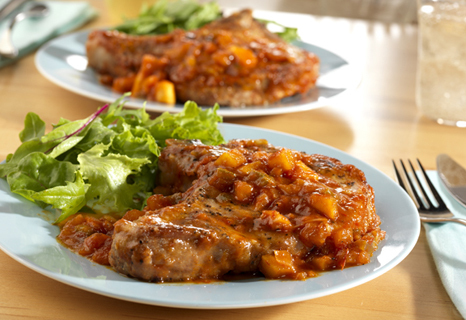 Reduce heat to low, cover and cook for about 10 minutes or until soft - do not brown. Stir in the mashed potatoes; mix thoroughtly. Add the chicken broth, milk, salt and pepper. Cook and stir over medium heat for a few minutes. Reduce heat, cover and simmer for about 20 minutes, stirring occasionally. Add the cubed potatoes, stir, and cook for a few more minutes or until heated through. Add any desired toppings to individual servings. 1. The Beach Boys are back together (everyone alive, Dennis and Carl have passed, including Brian) for the first time in 25 years. It's their 50th Anniversary tour. Their new single is called, “That's Why God made the Radio”. Did radio play a huge part of your growing up years? 2. What is something that you are disappointed about right now? 3. What are you really anticipating right now? 4. When was the last time you watched your favorite movie? What is it? 5. If you could bring one person back from the dead, who would it be? 6. Who was the last person you hung up on? 7. Does it bother you when meme makers separate questions that could've been combined? 8. What is the first animal you would run to see if you went to the zoo? 9. 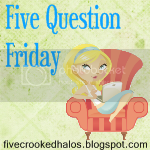 What is the food you always buy at the grocery store that you can't live without? In a large bowl, beat the milk, sour cream, pudding mix and orange peel on low speed until thickened. Fold in whipped cream. Place half of the cake cubes in a 3-qt. glass bowl. Arrange a third of the strawberries around sides of bowl and over cake; top with half of the pudding mixture. Repeat layers once. Top with remaining berries. Refrigerate for 2 hours before serving. Yield: 8-10 servings. Microwave chocolate squares and butter in a large microwave-safe bowl at HIGH 1 1/2 minutes, stirring after 1 minute and then every 30 seconds or until melted. Stir until smooth. Stir in sugar. Add eggs, 1 at a time, beating with a spoon just until blended after each addition. Stir in flour and vanilla; stir in chocolate morsels. Pour mixture into a lightly greased 13- x 9-inch baking pan. Bake at 350° for 30 to 35 minutes or until a wooden pick inserted in center comes out clean. Cool completely on a wire rack. Spread Cappuccino Buttercream Frosting evenly over top of cooled brownies. Garnish, if desired. Cut into squares. Cover and chill, if desired. Sprinkle chicken with pepper. In a large skillet or wok, stir-fry chicken in 1 tablespoon oil until no longer pink. Remove and set aside. Stir-fry onion and peppers in remaining oil for 5 minutes. Add the water chestnuts, mushrooms and garlic; stir-fry 2-3 minutes longer or until vegetables are crisp-tender. Add stir-fry sauce and soy sauce. Stir in chicken; heat through. Place 1/2 cup chicken mixture on each lettuce leaf; sprinkle each with 1-1/2 teaspoons peanuts and 1/4 teaspoon cilantro. Fold lettuce over filling. Yield: 4 servings. In our family Carter's has long been attached to our young ones. Whether newborn babies or a bit older mothers in our family could always trust the comfort that Carter's provided their little ones with. The comfort was always first and seconded only by the style and fashion that could always be trusted to make sure our little ones looked as good as they felt. Carters will be featured in the new movie What To Expect When You're Expecting. This movie will premiere in theaters May 18, 2012 Carters wants us to celebrate this by hosting a sweepstake where the lucky winner will be delighted with the prize they get. 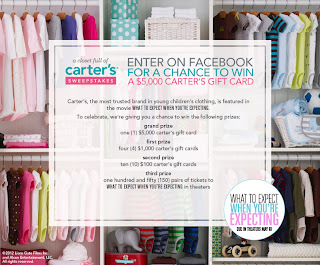 From April 16 until May 18, 2012, Carter’s is hosting “A Closet Full of Carter’s Sweepstakes” on Facebook! They’re giving away more than $12,000 in prizes, including a grand prize of a $5,000 Carter’s gift card! Wow, that would get you a lot of wonderful clothing from Carter’s. Fortunately, they also make clothes for little kids, so you can outfit your baby for several years! Enter daily on Facebook at www.carters.com/fbsweeps or on your mobile device at www.carters.com/mfbsweeps from April 16 until May 18. Or CLICK HERE to head over to the Carter’s website to check out their children’s clothing and learn more about “A Closet Full of Carter’s Sweepstakes.” Good luck! No Purchase Necessary to Enter or Win. A purchase will not increase your chances of winning. Void where prohibited by law. Participants must be 18 years of age or older as of the date of entry. 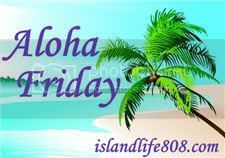 Promotion begins April 16, 2012 at 12:00:01 a.m. ET and ends May 18, 2012 at 11:59:59 p.m. ET. Limit one (1) entry per person, per day. Complete Official Rules available at www.facebook.com/carters. Sponsor: The William Carter Company (the "Sponsor"), 1170 Peachtree Street NE, Suite 900, Atlanta, GA 30309. Facebook is not a Sponsor of this Sweepstakes. Disclosure: Carter’s partnered with bloggers such as me to promote their upcoming feature in the movie What to Expect When You’re Expecting. As part of the program, I received product or gift cards. Carter’s believes that consumers and bloggers are free to form their own opinions and share them in their own words, and therefore did not tell me what to purchase or what to say about the products I used. Carter’s policies align with WOMMA Ethics Code, FTC guidelines and social media engagement recommendations. This past Sunday, April 22, 2012 we celebrated Earth Day. 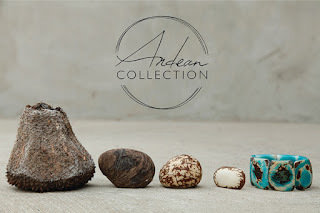 As the week goes on many organizations continue to celebrate earth week and we have had the opportunity to celebrate earth day and spring style with Andean Collection. 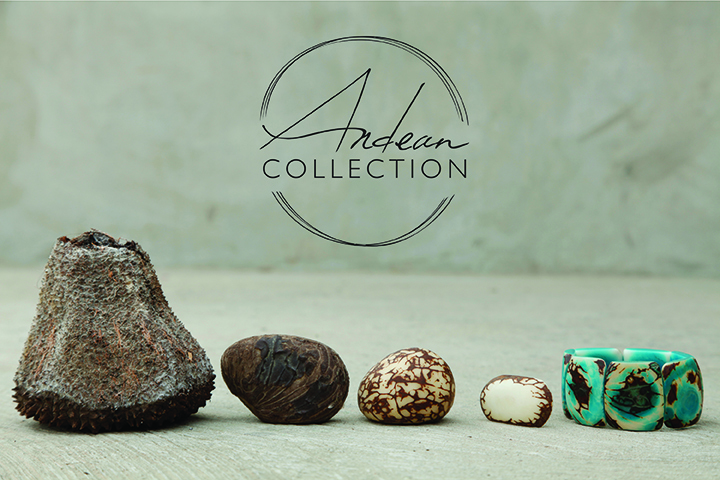 The beautiful Andean Collection is completed with use of sustainable seeds that are harvested from the rainforest and lowlands of South America. 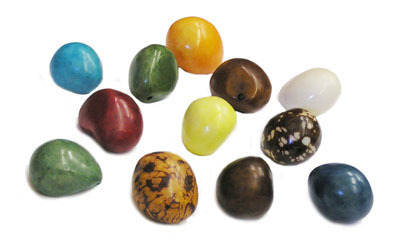 Seeds such as pambil, acai and the tagua seeds have all been used to make the beautiful jewelry. "It's also a sustainable source of income for the farmer's in these areas. Instead of selling the land off to oil companies, they have an incentive to keep the trees alive." says AC Partner Bria Bergman. We recieved the opportunity to review a beautiful bracelet from the Andean Collection. Buy: you can purchase any of the beautiful pieces of jewelry from the andean collection from their website located at http://www.theandeancollection.com/Default.aspx Pieces in the collection range in prices from around $20 to a little under $100. Preheat oven to 350°. Lightly spoon flours into dry measuring cups; level with a knife. Combine flours, 3/4 cup powdered sugar, cornstarch, and salt in a food processor; pulse to combine. With food processor on, add butter through food chute a few pieces at a time; process 1 minute or until mixture is the texture of sand. Combine 3 teaspoons ice water and vanilla in a small bowl. With food processor on, slowly add ice water mixture through food chute; process 1 minute or until very well combined. (Mixture will remain crumbly.) Add cherries and pistachios; pulse 10 times or just until combined. Transfer mixture to a bowl. (Mixture will be crumbly.) Gently press mixture into a level tablespoon; pack lightly with the heel of your hand. Turn out onto a baking sheet coated with cooking spray. Repeat with remaining dough to form 32 cookies. Bake at 350° for 15 minutes or just until bottoms are golden. Remove from oven; cool 10 minutes on baking sheet. Place remaining 1/2 cup powdered sugar in a large bowl. 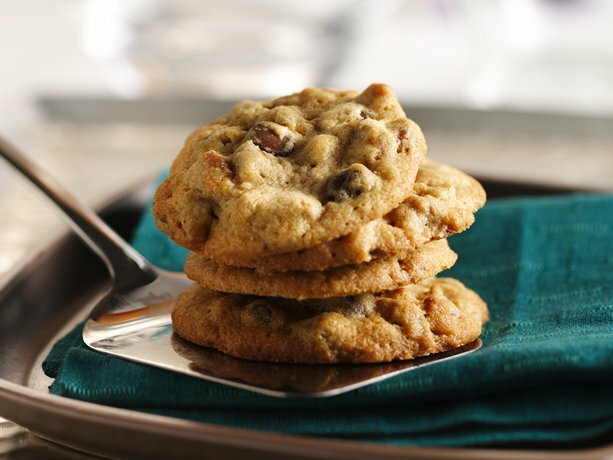 Add cooled cookies; toss gently to coat with powdered sugar. Transfer cookies to wax paper to cool completely. 1 Heat oven to 350°F. In large bowl, mix butter, peanut butter, sugars, eggs and vanilla with spoon. Stir in remaining ingredients. On ungreased cookie sheet, drop dough by rounded tablespoonfuls about 2 inches apart. 2 Bake 9 to 11 minutes or until edges are light golden brown (do not overbake). Cool 3 minutes; remove from cookie sheet to cooling rack. For topping: In a medium bowl, combine tomatoes, basil, olive oil, the 2 teaspoons minced garlic, the 1/4 teaspoon salt, and the 1/4 teaspoon black pepper. Set aside. For garlic butter: In a small bowl, combine softened butter, the 1 teaspoon garlic, the 1/8 teaspoon salt, and the 1/8 teaspoon black pepper. Remove from grill. Serve immediately. Makes 8 appetizer servings. Place the potatoes in a large pot, and fill with enough water to cover. Bring to a boil, and cook until a fork can be easily inserted and removed, about 20 minutes. Drain and cool slightly. During the last 10 minutes, boil the hot dogs and eggs. Drain everything, and set aside to cool. Peel the potatoes, and cut into cubes. Chop hot dogs. 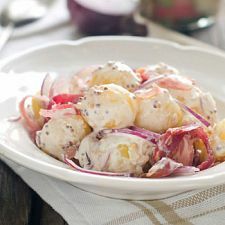 Place everything in a large bowl, and mix in the pickles, onions and peas. Peel the eggs, and grate them on top of the salad. Add mayonnaise and salt to individual servings.